Signature Windows & Doors are proud to announce that we will be attending Ireland's new interior design event House 2018! Signature Windows & Doors are proud to announce that we will be attending Ireland’s new interior design event House 2018 that takes place in the RDS on the 25th, 26th and 27th May. This is an excellent opportunity to get the advice and inspiration you need to transform you home! Come and have a chat with us at our stand A23 to get a free personal consultation with a professional Signature senior window and door design technician. We will be displaying our high quality and finely crafted Signature Megrame Wooden Sliding Sash Window which provides all the benefits that come with the traditional design and modern high-performance materials.The traditional Wooden Sash Window is an ideal solution for replacement, including conservation areas, or new build projects and can either be installed as a full frame replacement or into existing box frames. 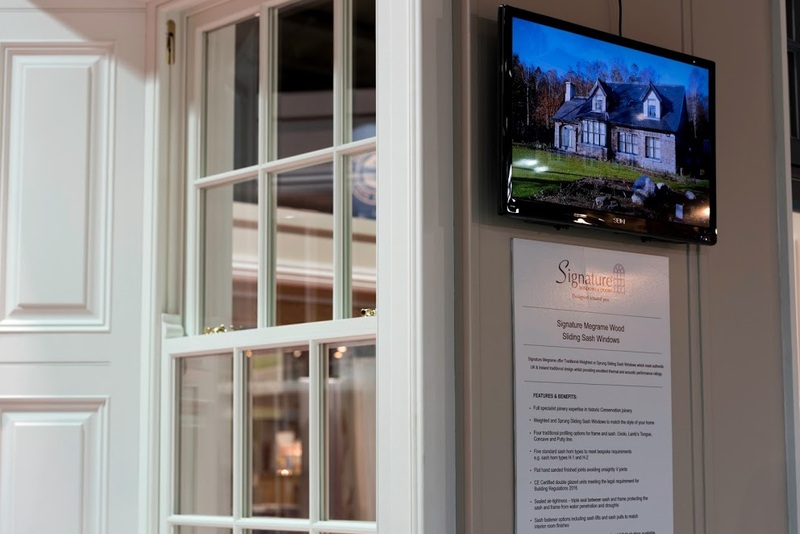 The House 2017 event will allow you to see how the traditional Wooden Sliding Sash Window can integrate with your room and furniture that will allow you to take your house to the next level in design and comfort. To buy your tickets for House 2018 please click on the link below!